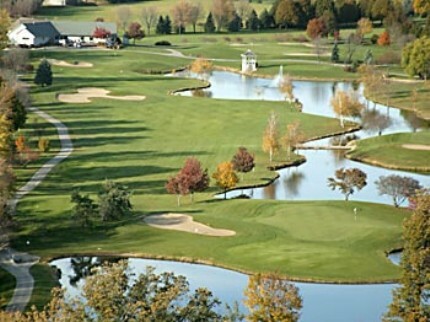 Mason City Country Club is a Private, 18 hole golf course located in Mason City, Iowa. The course first opened for play in 1915. The course is a traditional parkland style layout with tree-lined fairways and sand traps place around greens. Par for the course is 72. From the back tees, the course plays to 6,442 yards. From the forward tees, the course measures 5,261 yards. The longest hole on the course is # 18, a par-5 that plays to 533 yards. The shortest hole on the course is # 5, a par-3 that plays to 121 yards from the back tees. Watch out for # 7, a 416-yard par-4 challenge and the #1 handicap hole on the course. The easiest hole is # 13, a 280 yard par-4.